Regular updates showing you what we're working on, with links to YouTube clips of some of the work. 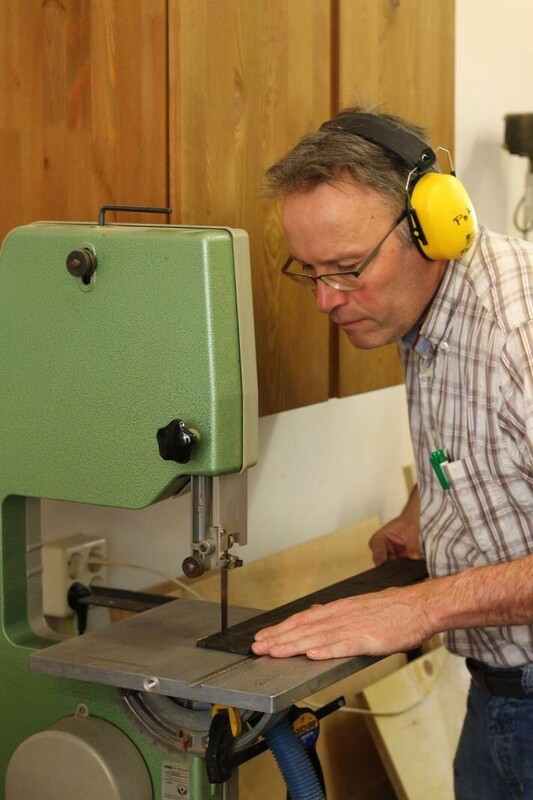 Visit us on Facebook or Instagram for more pictures of a guitar maker's life in the workshop. 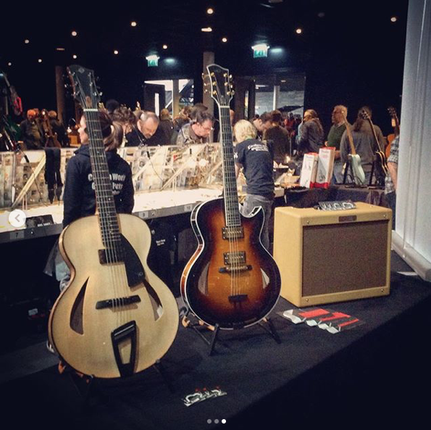 We exhibited our latest archtops at the Vintage Veenendaal Guitar Show where we met some old friends and made some new. 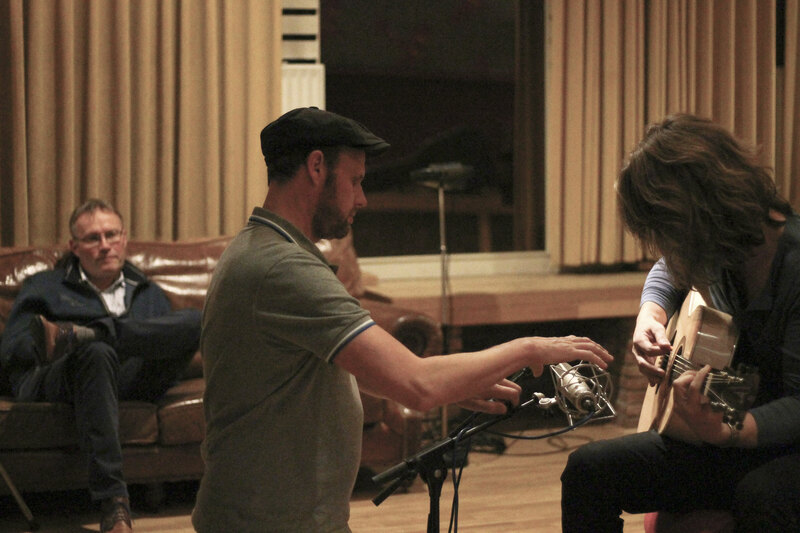 Below you see Jens Larsen and Jeen Rabs trying our new guitars. This great show is held twice a year. We're already looking forward to September's edition! 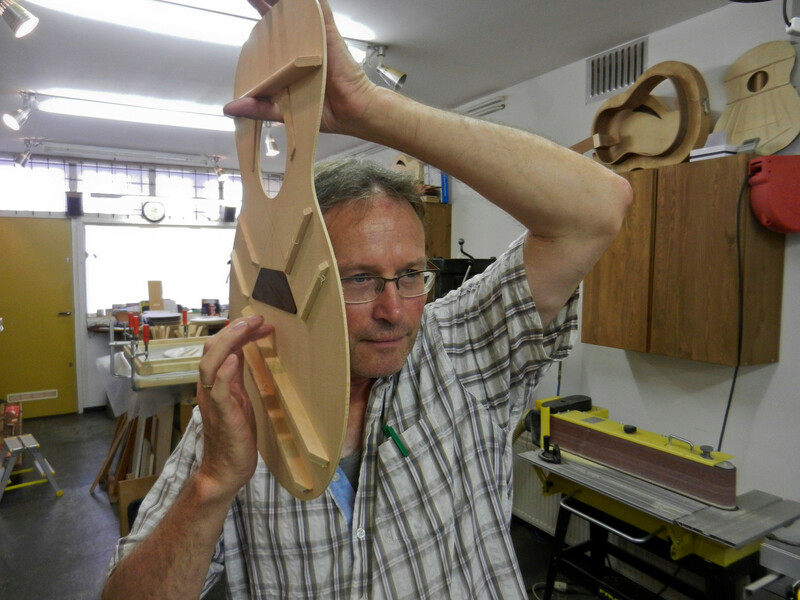 We've recently started on a new batch of instruments. 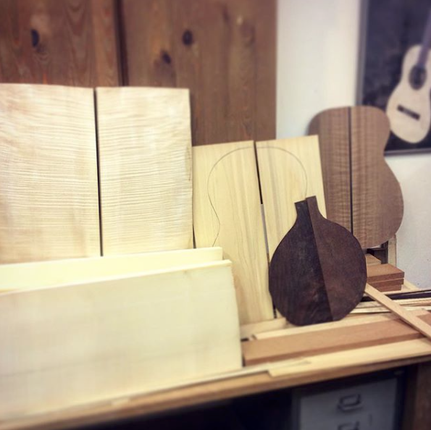 Busy times with 2 archtops, 3 flamenca blanca models, 1 bandolim, 1 mahogany 00-model and a classical guitar made with exotic ebony back and sides. The repair of our injured 2005 Flamenca Blanca is nearly done. All the pieces are glued back in place. 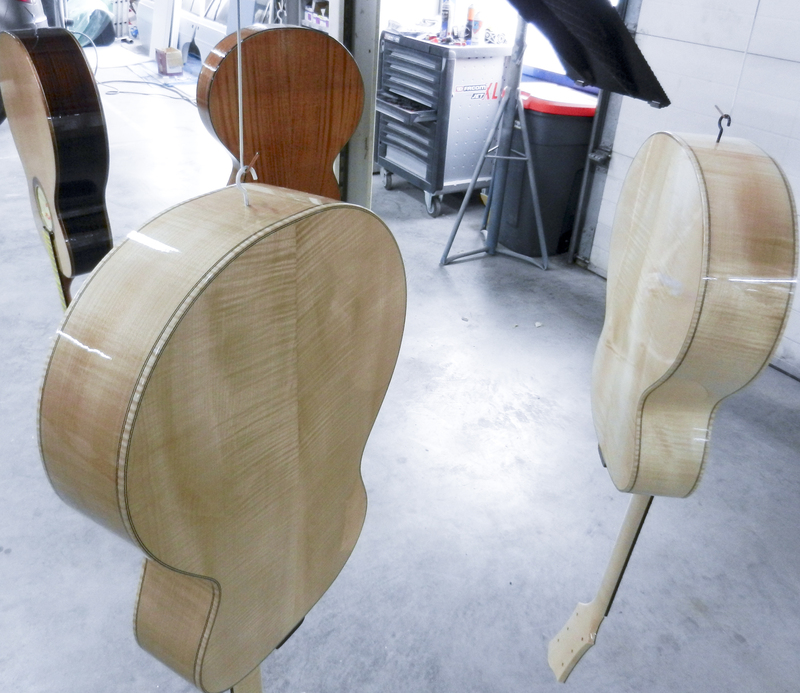 We will now sand the back and sides and French polish them. A new OM-model was delivered to its owner. 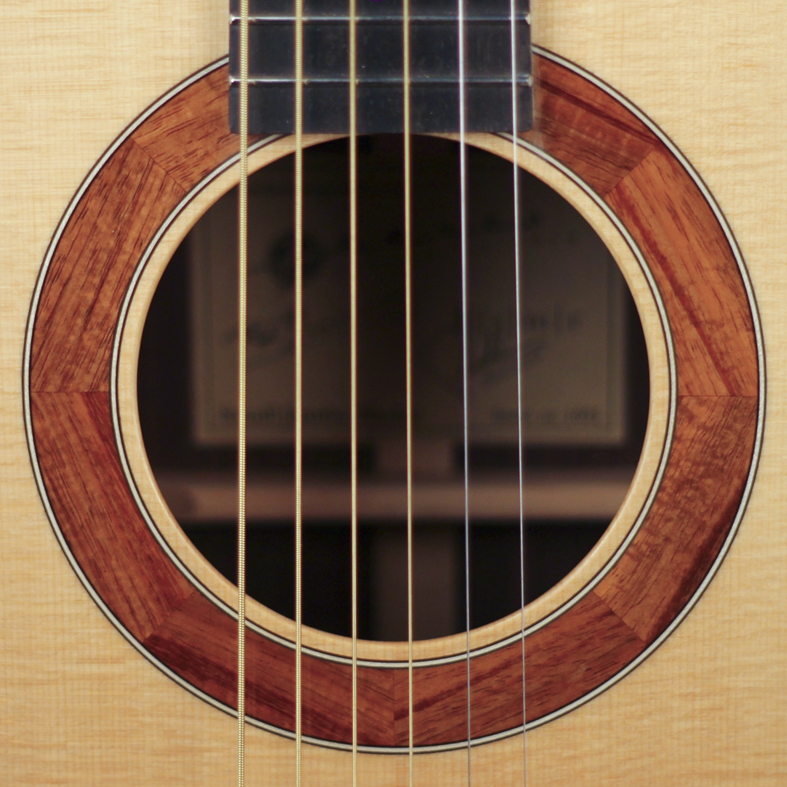 This instrument has a European Spruce top and African Blackwood back and sides. 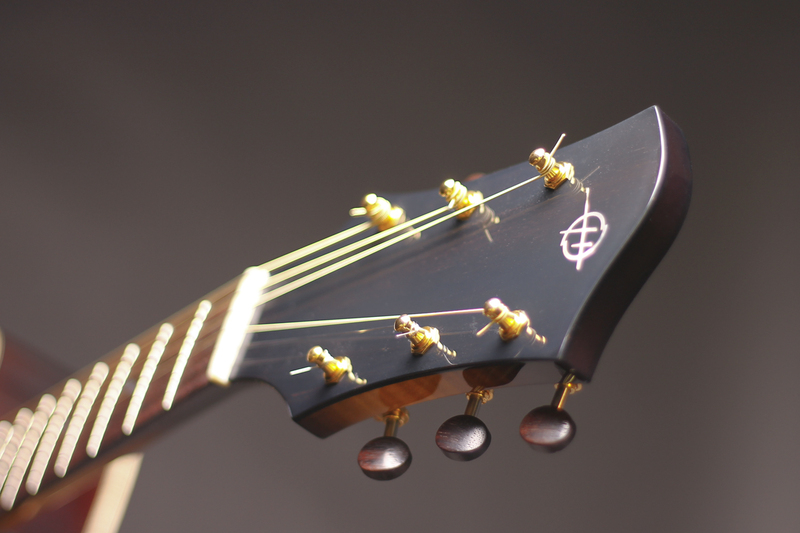 The 'pyramid' bridge is made from Ebony and is fitted with a Barbera transducer. Ouch! This Flamenco Blanca we made in 2005 got hurt pretty bad. We're working on the repair, which will be as good as invisible, despite how she looks right now. The missing piece was still in the case and will be put back into place before the binding is replaced. 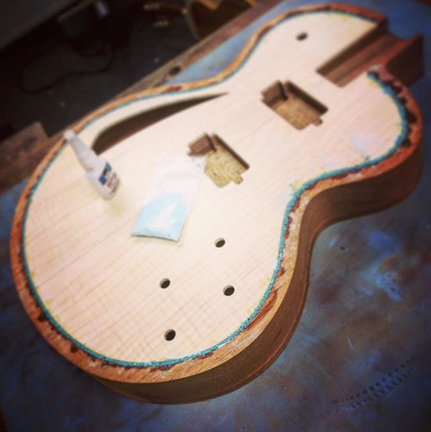 Our new thinline electric model is taking shape. 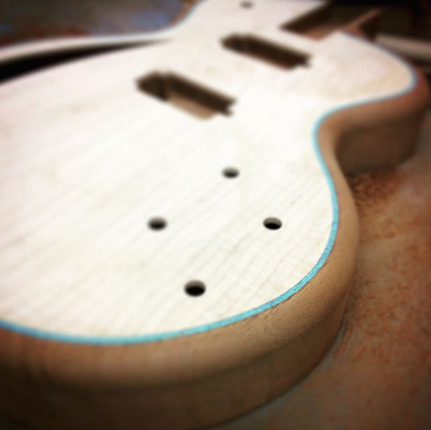 'Blue' will be finished in nitro-cellulose in a couple of weeks and will be presented in the spring. 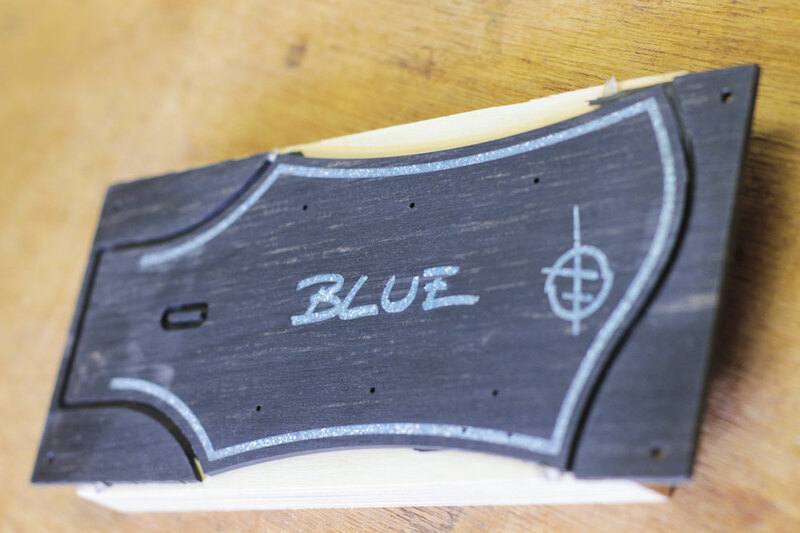 The pictures show how the crushed turquoise inlays are fixed in the binding channel before we radius the top. Also under way is the latest batch of Small Jumbo models. 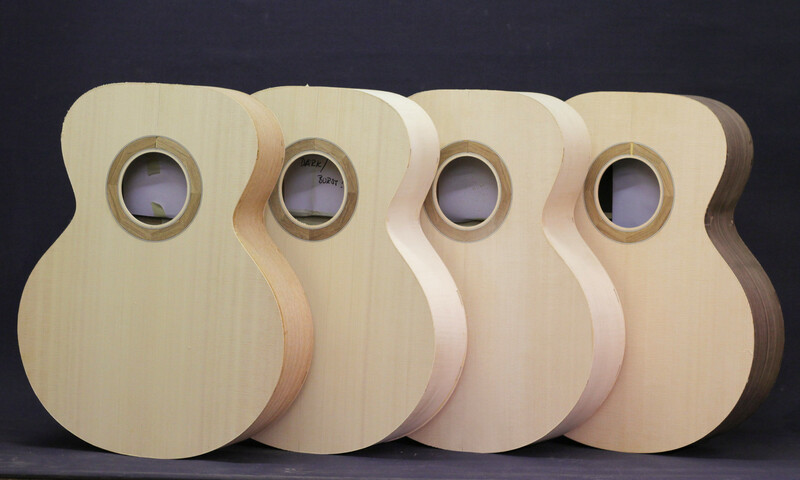 Three Maple models and one Rosewood model are being finished at the moment and should be ready for delivery next month. 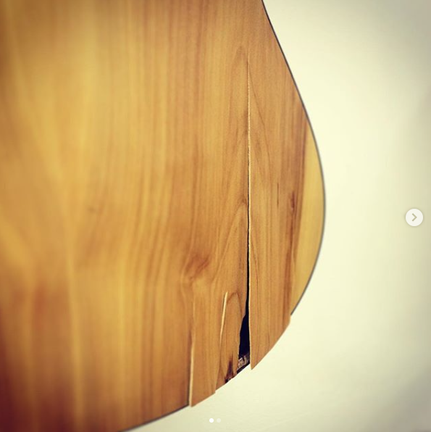 Heeres Guitars is looking forward to a great 2019. We're very excited to have found two new dealers for our instruments. 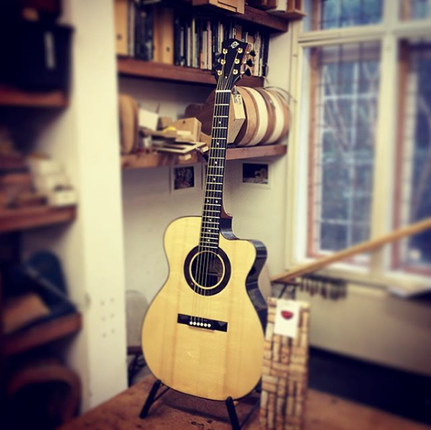 Rudolf Eeken of La Guitarra Buena offers some of our nylon string guitars in good old Amsterdam. Our German friends might want to visit Musik Oeverman Minden for a selection of Small Jumbo models. 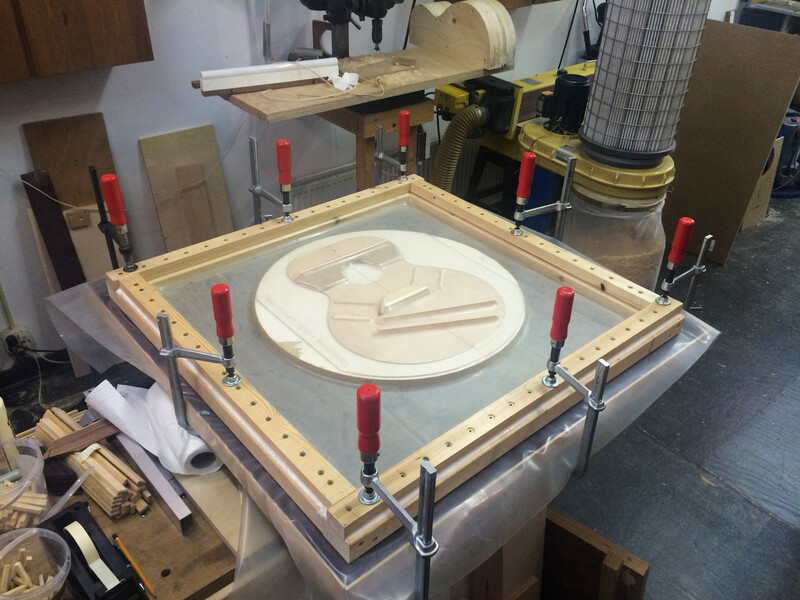 A new Cocobolo Jumbo model (a big one, not our Small Jumbo model) is ready for the first layers of nitro-cellulose lacquer. 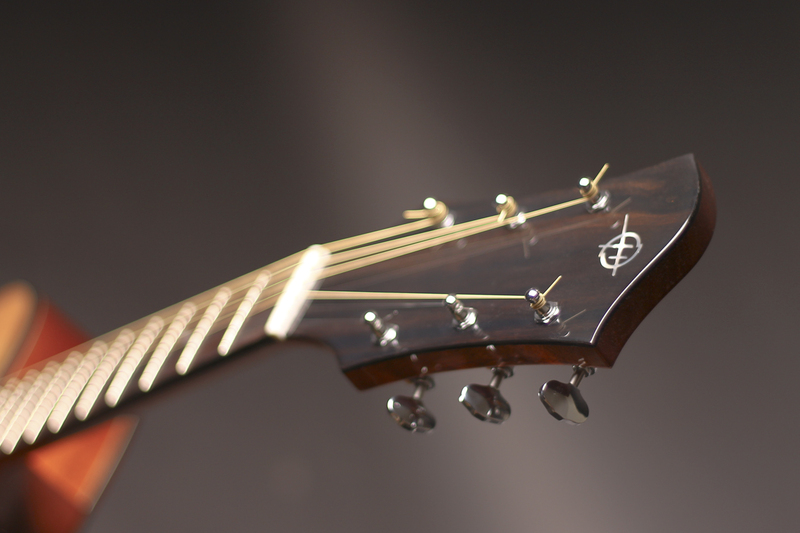 It has Abalone inlays in the ebony fretboard and headstock. 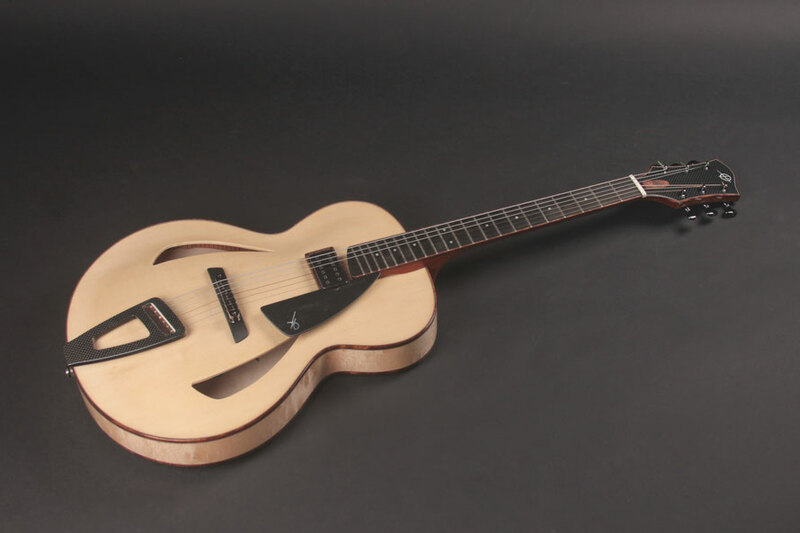 We've also finished a new Montreux Model Archtop. 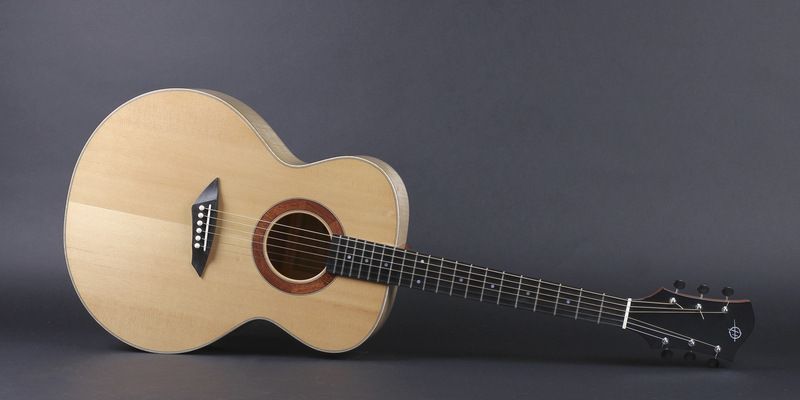 This instrument was made with a European Spruce top, a one-piece Maple back and Carbon Fiber details. We'll be recording with it this month. Stay tuned for more! 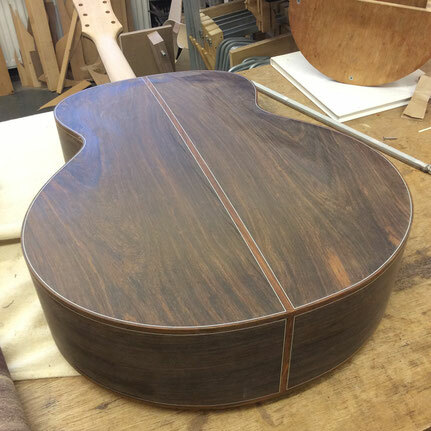 A new Cocobolo Jumbo model (a big one, not our Small Jumbo model) is coming along nicely. 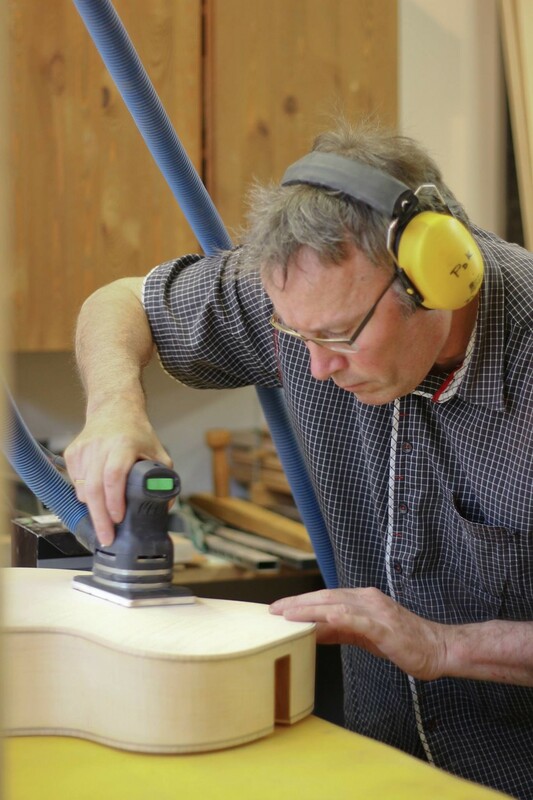 Using a vacuum set-up, we glued the braces to the top and finished the body. It's now ready for binding and purling. 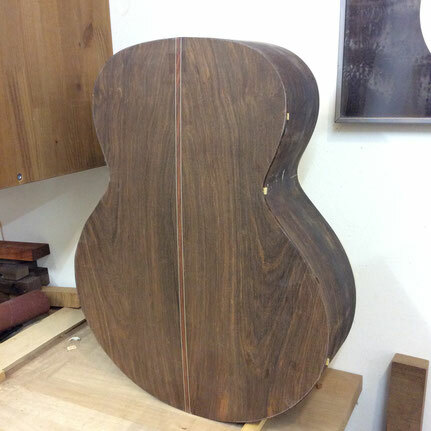 Progress on the Brazilian Rosewood Geneva Model was made, too. 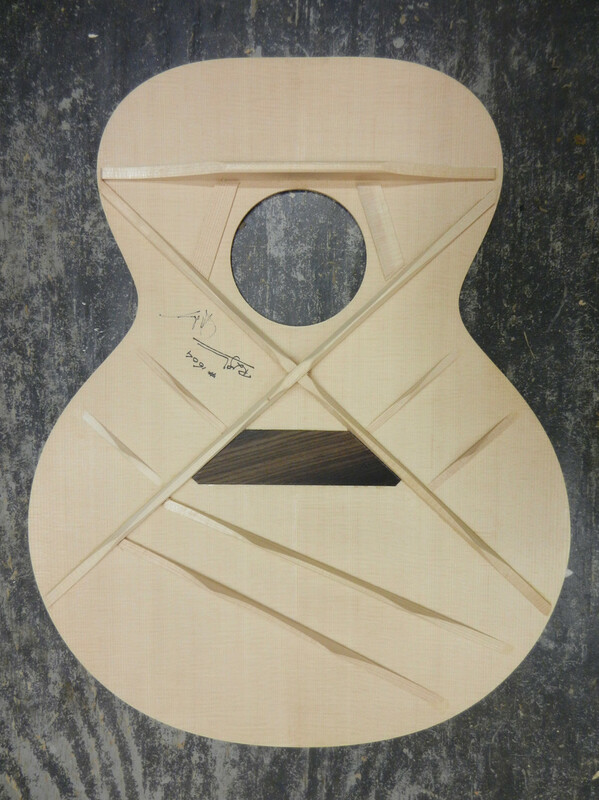 The top was glued to the sides and neck, so this guitar too is ready for binding. 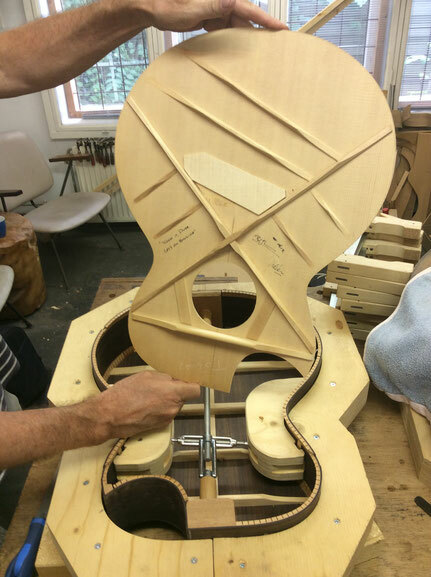 The Geneva Nylon Jazz model is made the Spanish way: the sides are first fixed to slots in the heel block, after which the back and top are glued. 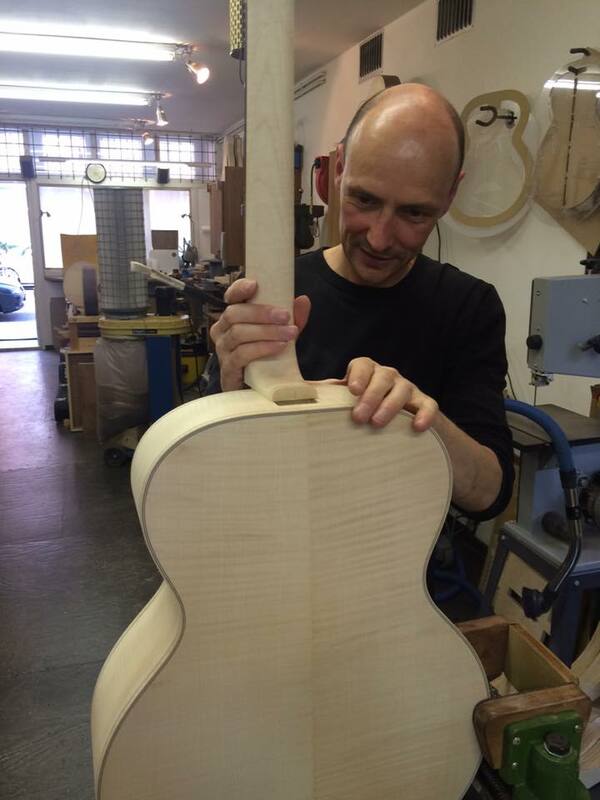 The Montreux model archtop is being finished. The one-piece back looks simply spectacular. 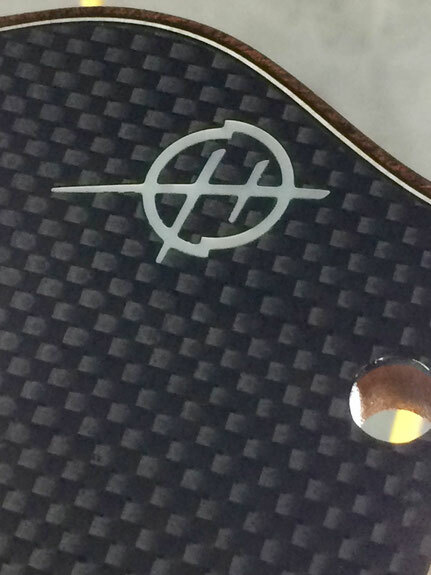 The carbon fiber details have a great 3D-effect when the shiny lacquer is applied! 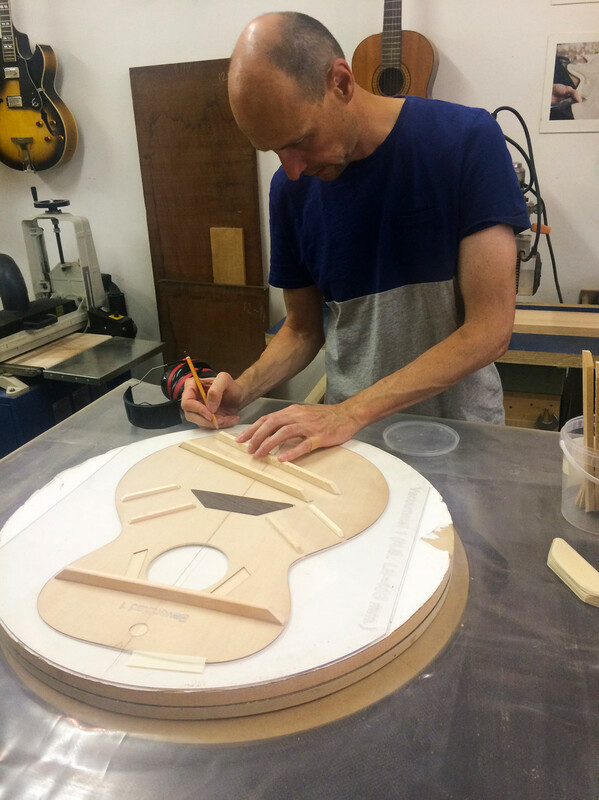 In collaboration with B|s|m|r Guitars, we're working on a new batch of Small Jumbo models, one of which will have a multi-scale fretboard. In the picture you can see what the effect is on the bracing and bridge plate. Last, but not least, we've started on a new Geneva model. 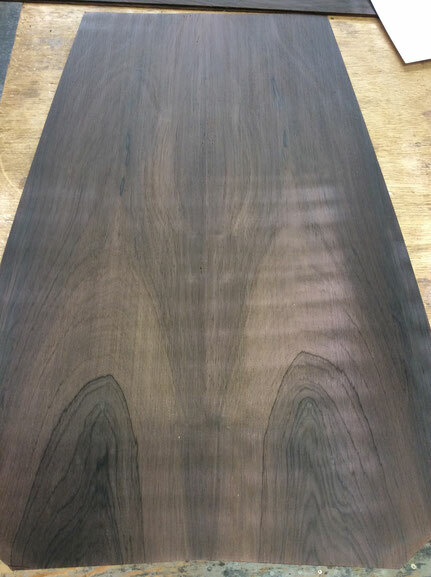 We found a beautiful piece of Brazilian Rosewood for the back and sides. 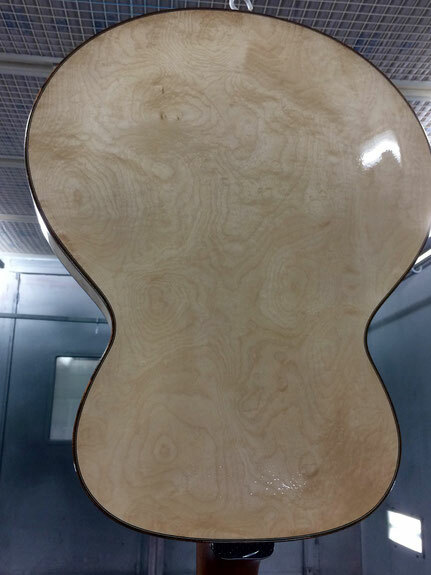 To really show off the grain, this guitar will be made with minimal ornamentation. 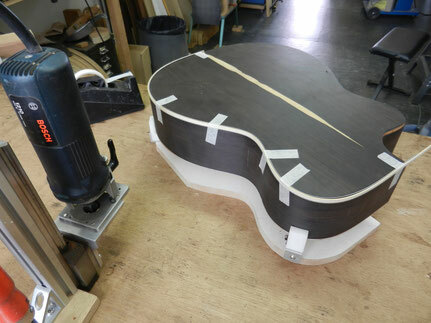 The new Montreux model archtop is coming along nicely. 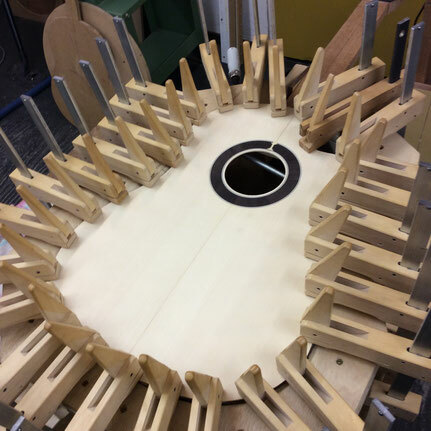 The back was glued to the sides, and the top is well under way. We also finished the box of an African Rosewood OM-model. 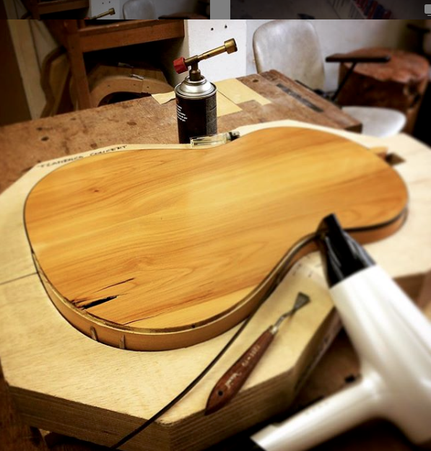 The binding of this guitar was glued last week. Next: the neck. As for the new batch in the Small Jumbo series, all sides are bent and joint to the heel block and tail block. Next month we'll be closing the first boxes. 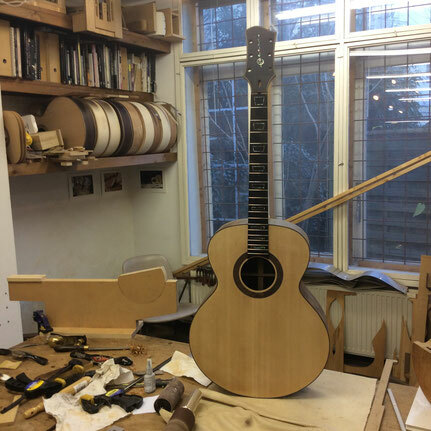 Preparations for the Holy Grail Guitar Show (Berlin, May 5-6) are in full swing. 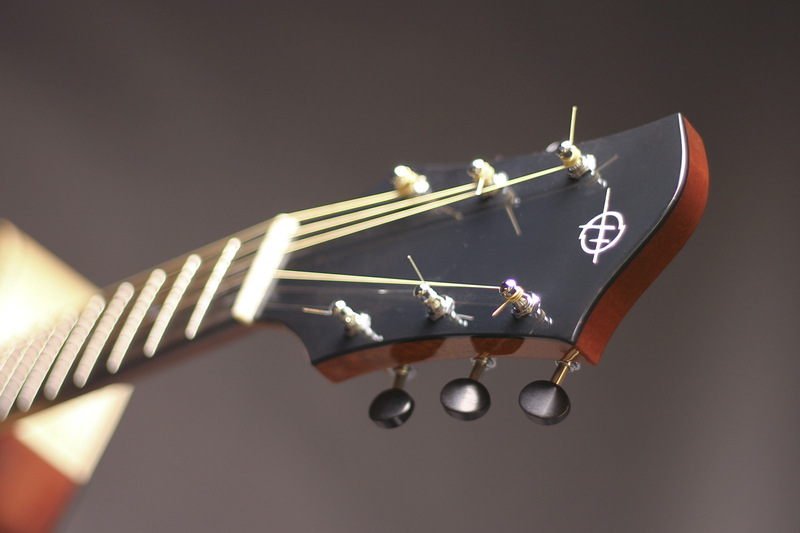 We've also been working on a new non-cutaway Montreux model archtop with carbon fiber headstock, tailpiece and finger rest. Meanwhile, we're making progress with the Small Jumbo series. 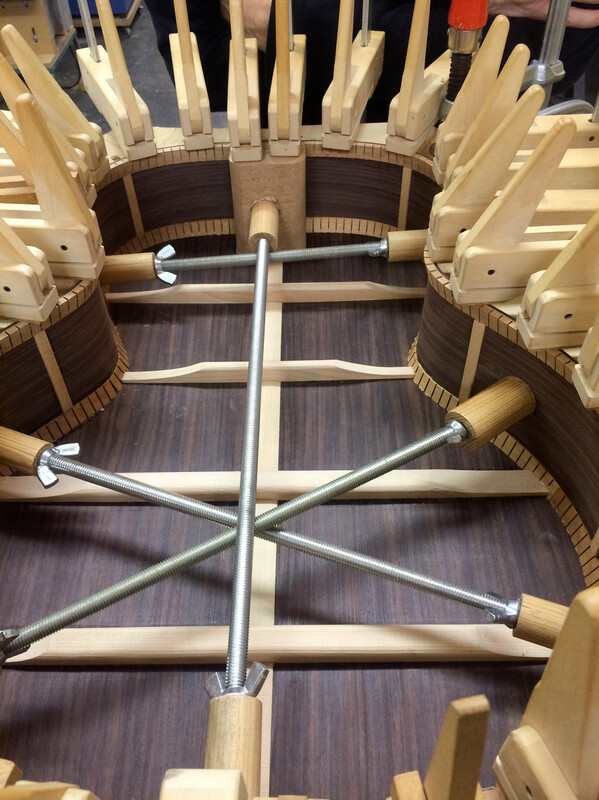 All sides are bent, and we are currently working on the cutaway models and joining the sides to the heel block and tail block. We've started on a new batch of Small Jumbo models. 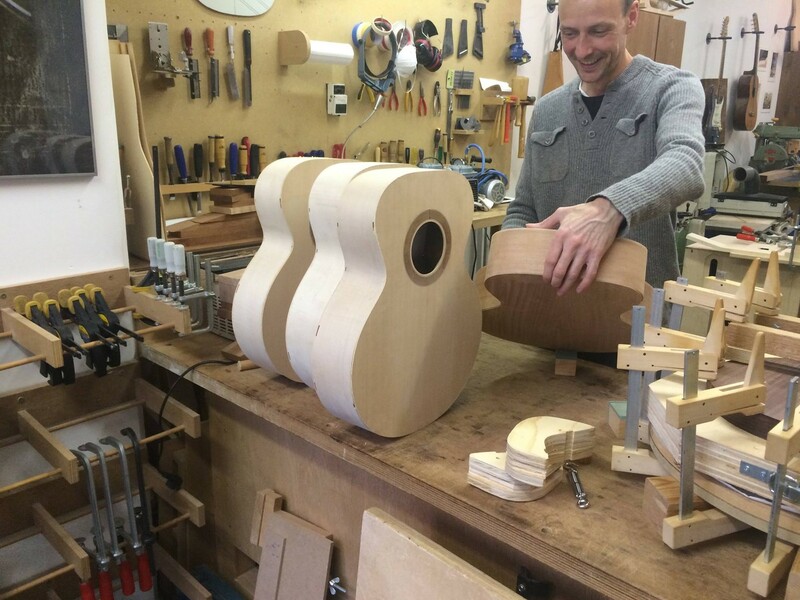 These guitars will all be built with a cutaway. 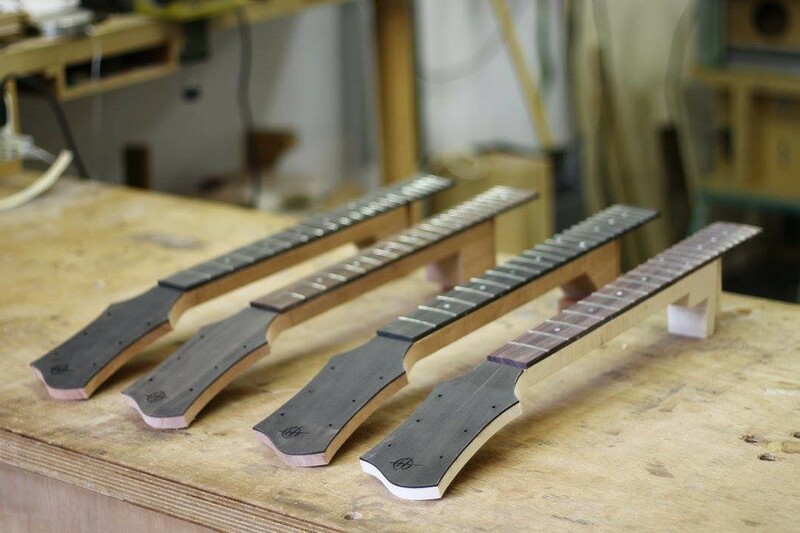 One of them will have a multi scale fretboard for easy playability on the trebles, combined with tight basses. 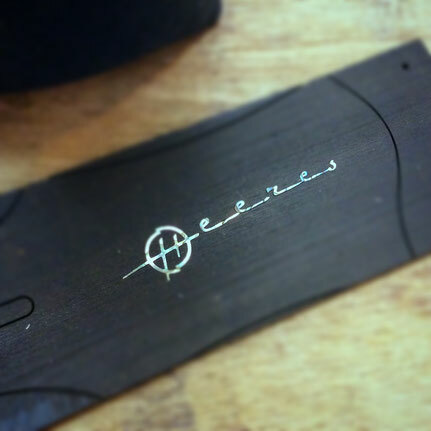 Some more clips of the celebration of Heeres Guitars' 25th anniversary were mixed and edited. 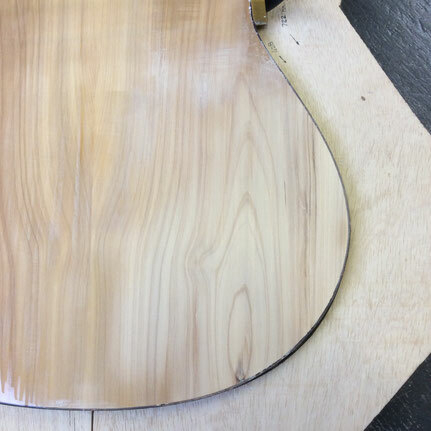 We've also started on a new thinline model. 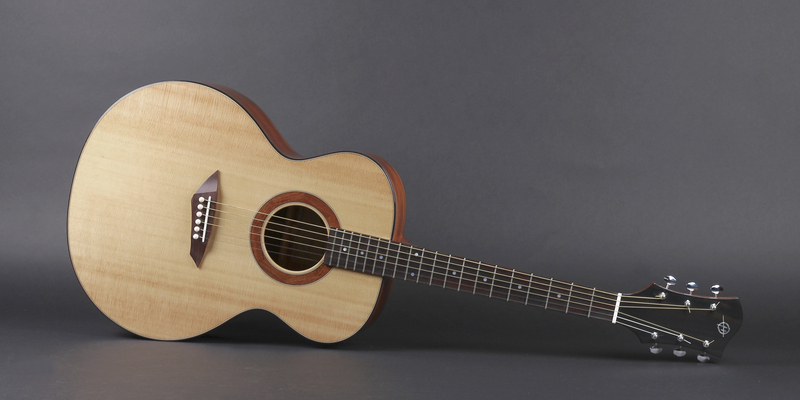 The chambered body of this new guitar is made of Honduran Mahogany (one piece) with a Tigerstripe Maple top. 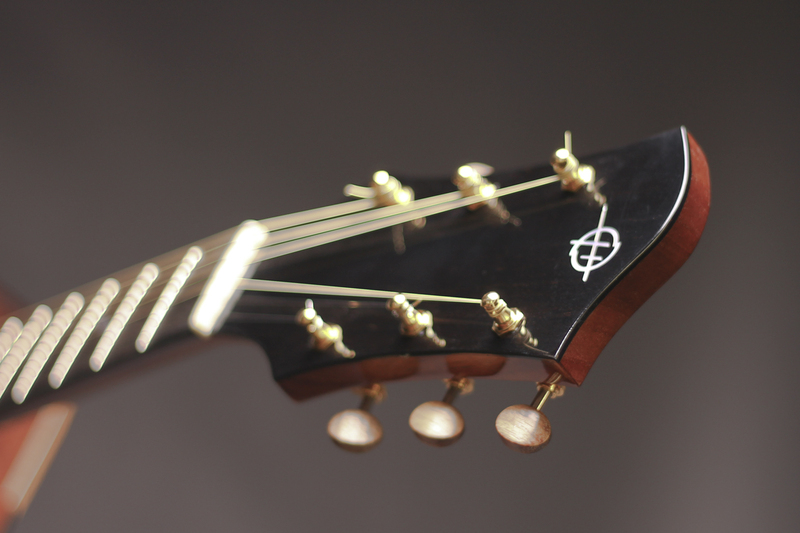 The headstock and fretboard are Ebony. 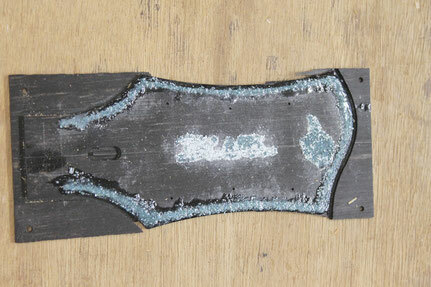 All inlays are crushed turquoise stone. She shall go by the name 'Blue'. 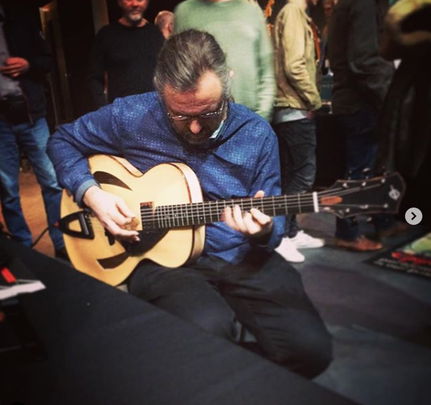 The first clip of the performances at the celebrations of Heeres Guitars' 25th anniversary was mixed and edited. We're working hard to get all the details for the festival celebrating our 25th anniversary just right. 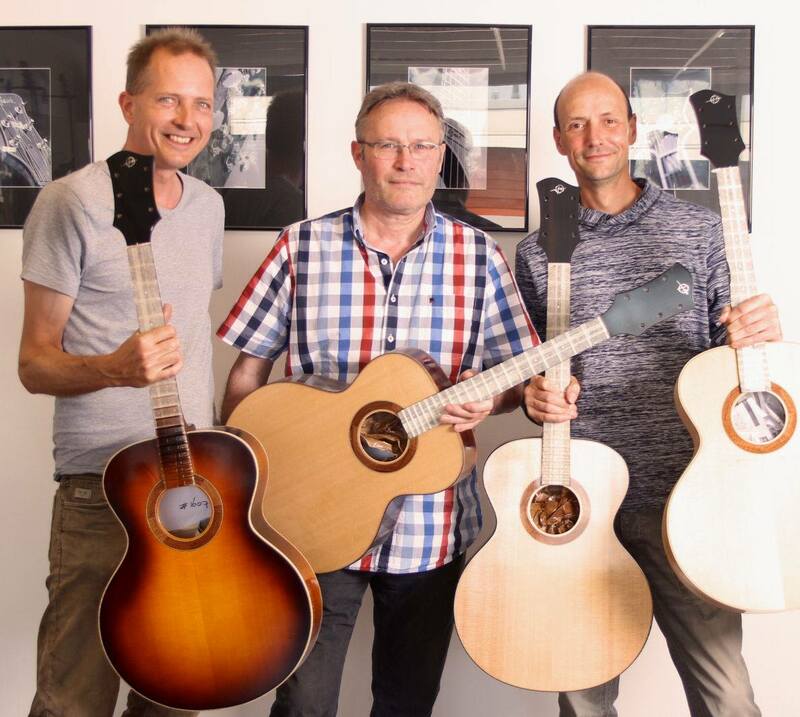 Besides workshops, lectures, films and concerts by some truly great musicians, we've managed to put together an exhibition of 40 Heeres Guitars! More below (Dutch) and under '25th anniversary' on this page. 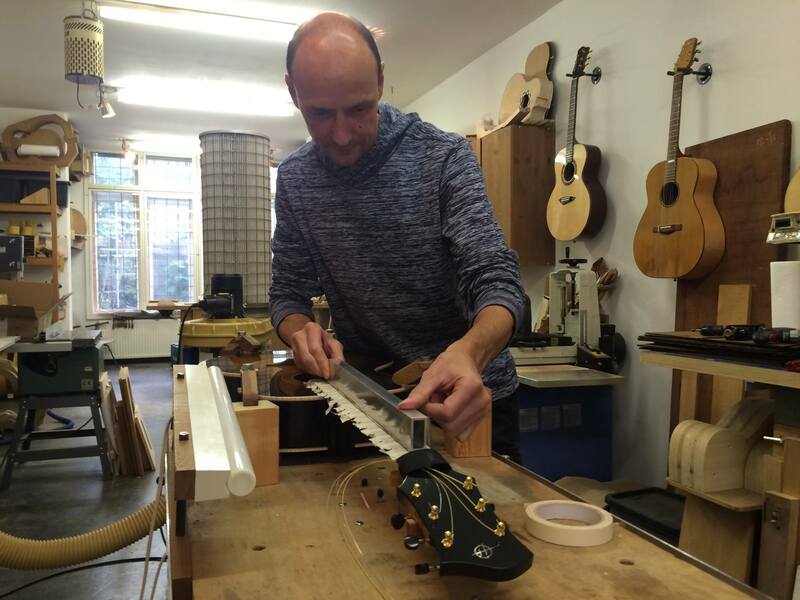 Tijdens het Gitaarfestival Den Haag zullen overdag 40 handgebouwde instrumenten te zien zijn van gitaarbouwer Richard Heeres. 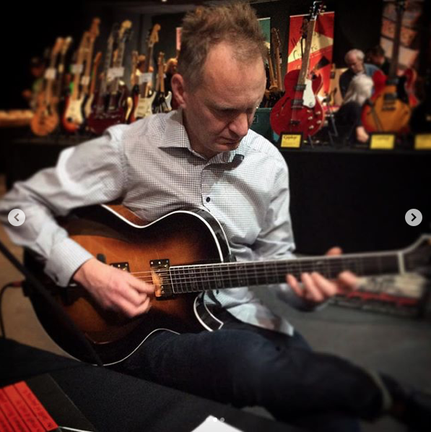 Vanwege zijn 25 jarig jubileum is een pop-up tentoonstelling georganiseerd waar eigenaren van een Heeres gitaar hun jazz, flamenco, klassieke of dubbelhals gitaar tonen. “Ik had niet verwacht dat ik 40 gitaren bij elkaar zou kunnen verzamelen, dit wordt een eenmalig en bijzonder overzicht”, zegt de Haagse bouwer. De eerste editie van Gitaarfestival Den Haag vindt plaats op 25 november in Theater De Nieuwe Regentes. Het festival organiseert overdag workshops en lezingen, vertoont films en de tentoonstelling van Heeres’ gitaren. ‘s Avonds zijn er optredens van jazz-, klassieke, flamenco- en popgitaristen van topniveau. The second batch of Small Jumbo's was completed. They came out beautifully. Like with the first batch, we have one model of each type. Check out our 'Available' and 'Gallery' pages for more. 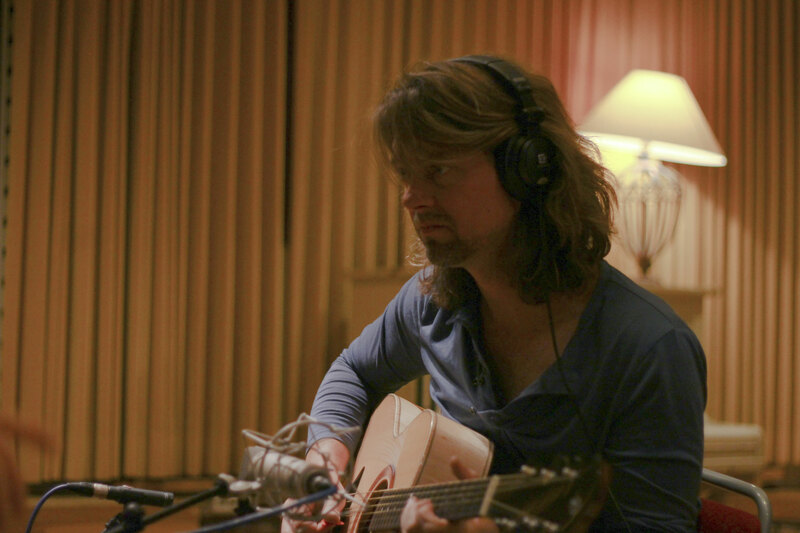 We recorded the guitars with our good friend Terence Hansen, who wrote a one-minute piece for the occasion. He played the piece on all four models, so the difference between them can be heard. 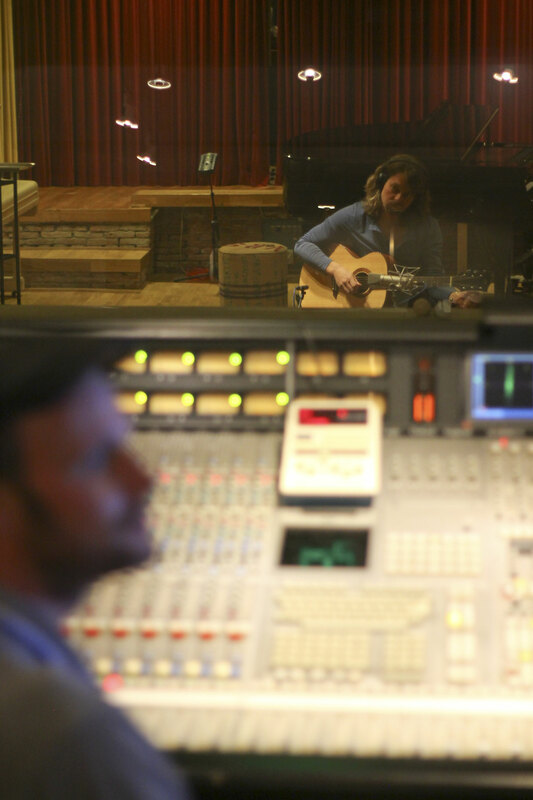 The recording was done at Bullet Sound Studios under supervision of Erik Schurman. You will find the tracks under 'mp3' on this page. 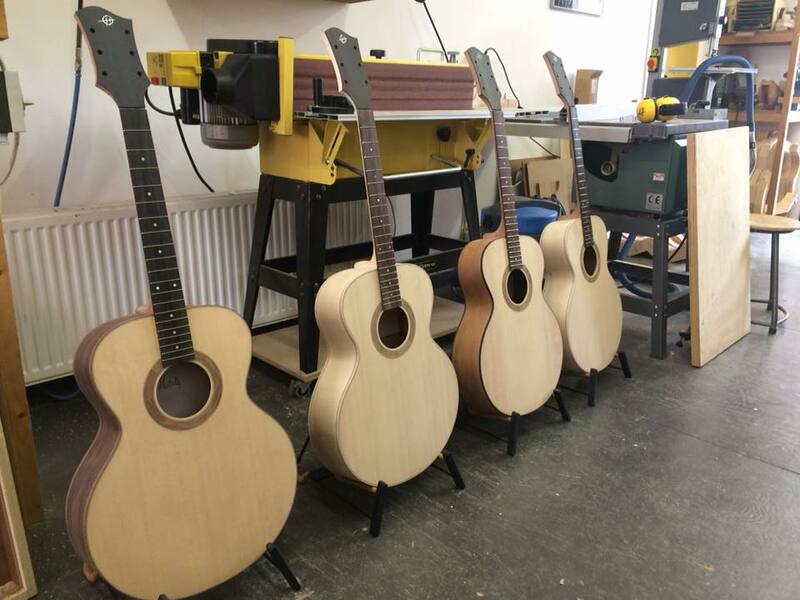 Instruments #1604, #1605, #1607 and #1618 (one of each model) were finished last month and have been played and tested by their happy new owners, plus a dozen or so more guitarists. These guitars were built as 'Concept Models', and we planned to make use of any comments players might have about sound and looks at this stage. 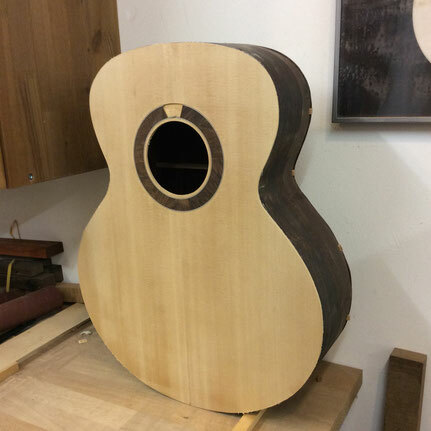 We got some small but very helpful hints on the aesthetics, like the height of the binding and the shape of the fretboard at the soundhole. We thank the panel for their input ;-) The new ideas will be incorporated in the next batches. 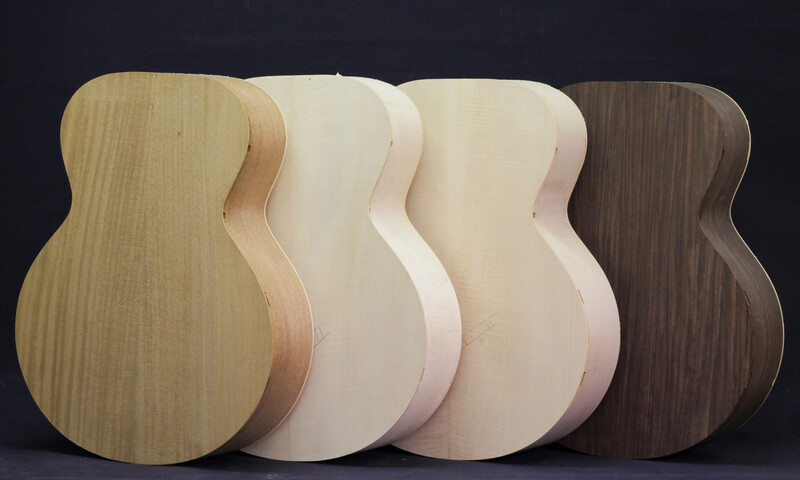 We are now working to finish the next four guitars, with numbers #1601 (Mahogany), #1602 (Maple I), #1606 (Maple I) and #1608 ( Rosewood). They will be ready for dispatch next March. 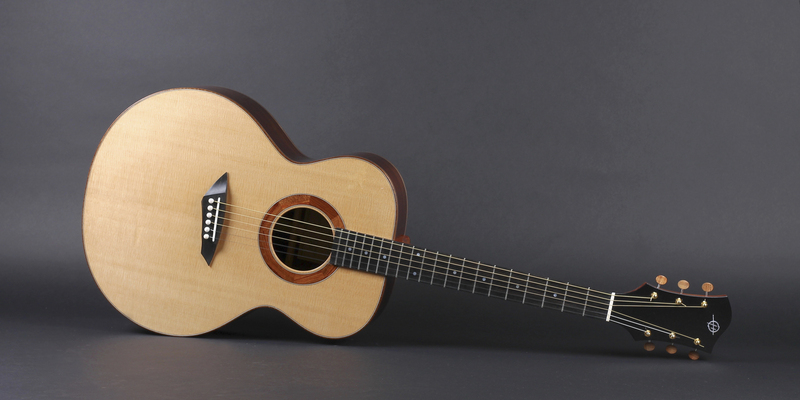 The Small Jumbo models will be on display at the International Guitar Festival, Zwolle, October 15! Ready to deliver the first instruments to their new owners! The lacquer is dry enough to scrape away the area where the bridge will be glued to the top. 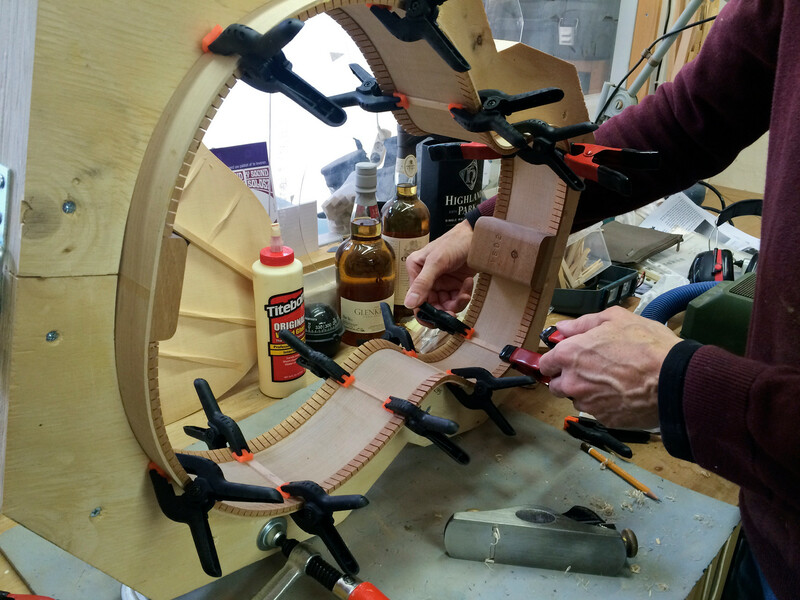 We've made and glued the bridges, and installed the nuts and tuners. Also, a basic set-up was done. 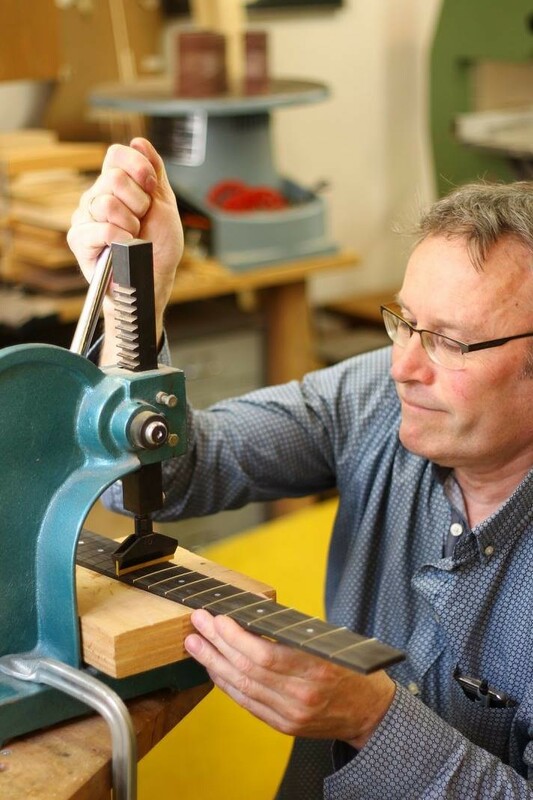 We let the string tension do its work for a couple of weeks, before the frets are trued. 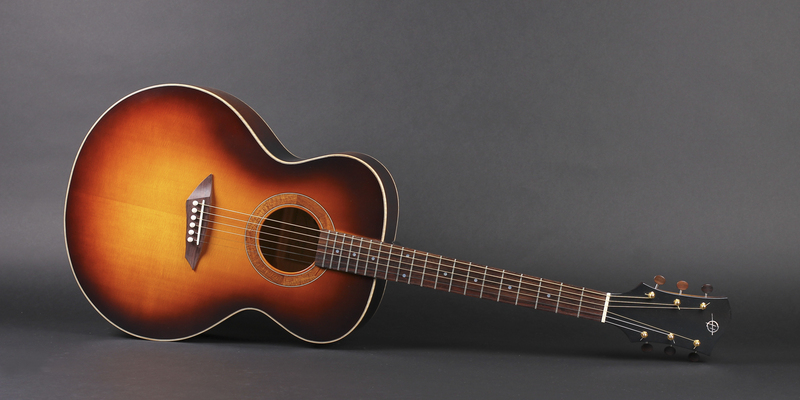 The Small Jumbo models will be on display at the 25th anniversary of the Vintage Guitar Show in Veenendaal, September 17! Holidays! A good time to let the lacquer cure before we continue to work on the guitars. 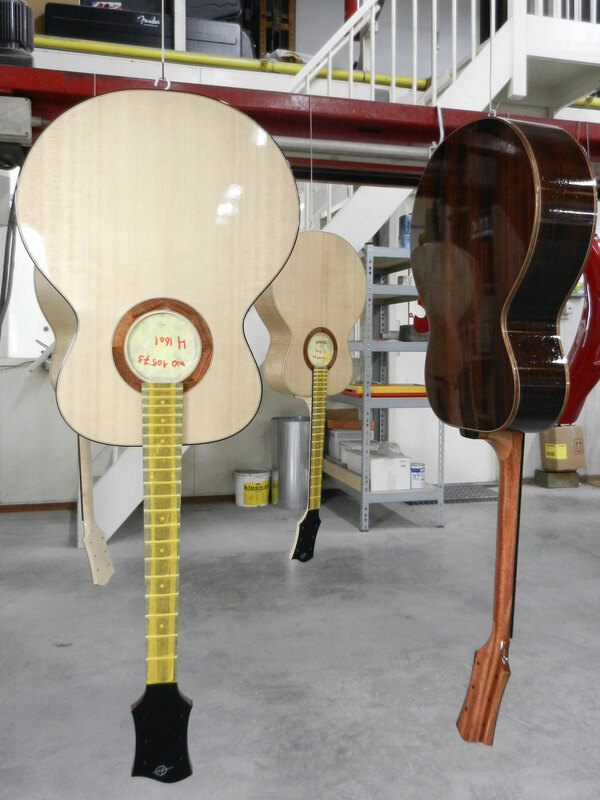 We got our first four guitars back after they were lacquered! So, very soon, they will find their way to their new owners. 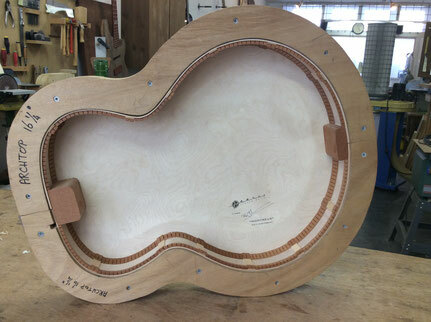 All that's left to do now is make the bridges and fit the nuts, saddles and tuners. The first batch is ready for lacquer, and we're very happy with the results so far! 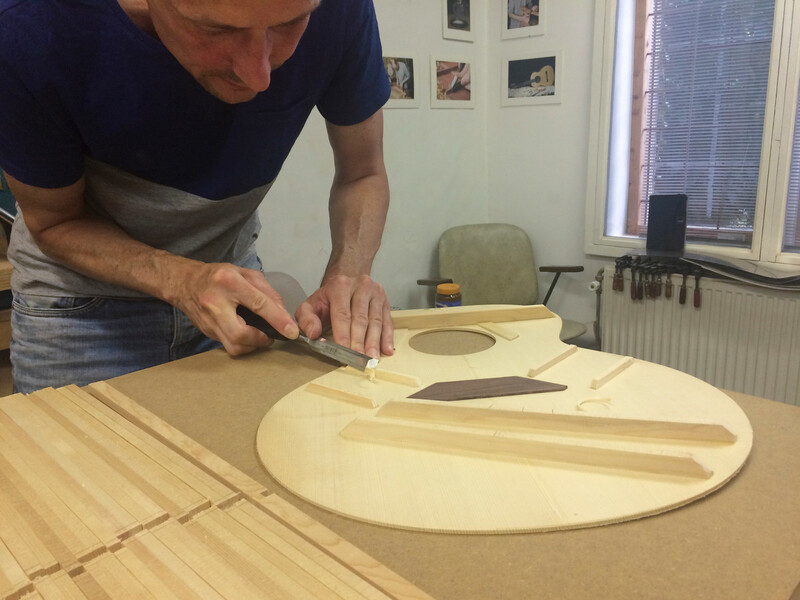 Frans Elferink of Elferink Guitars has taken it upon him to finish the first guitars, while we work on the next batch. 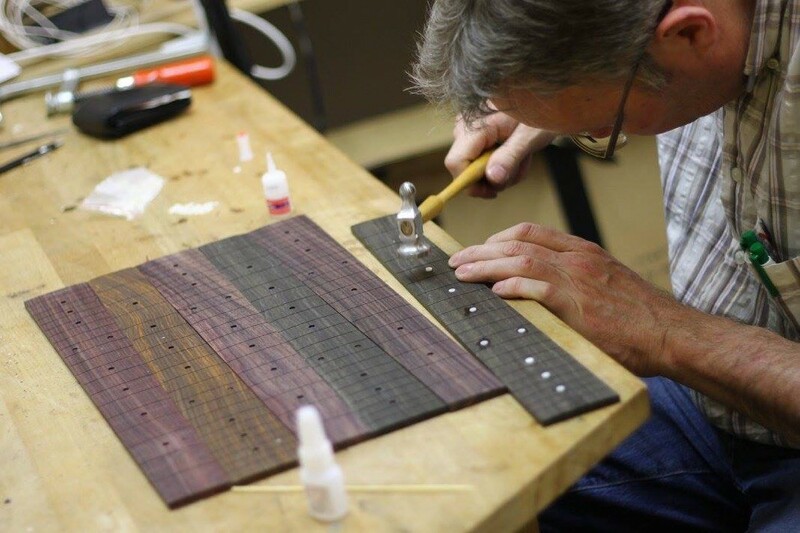 The first batch of fretboards have had the frets pressed in. 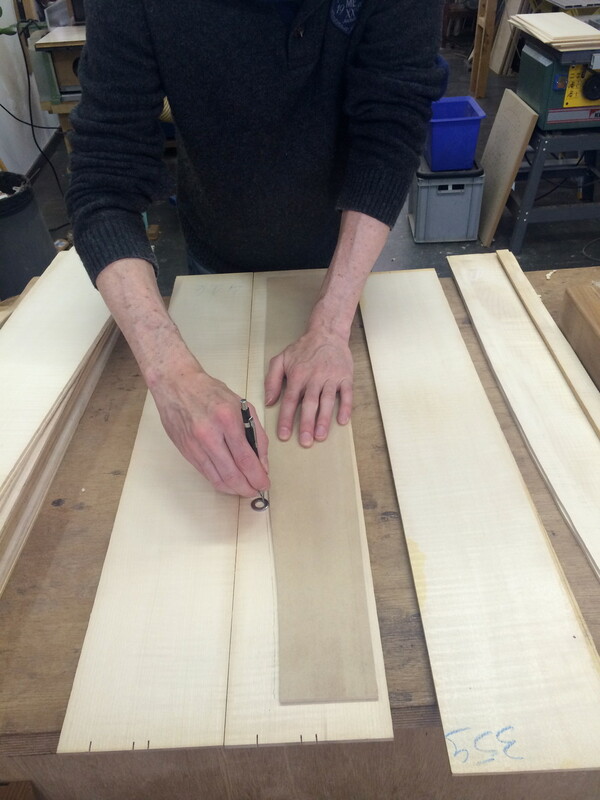 After the tenon was cut, we glued the fretboards to the necks, which are now ready for shaping. 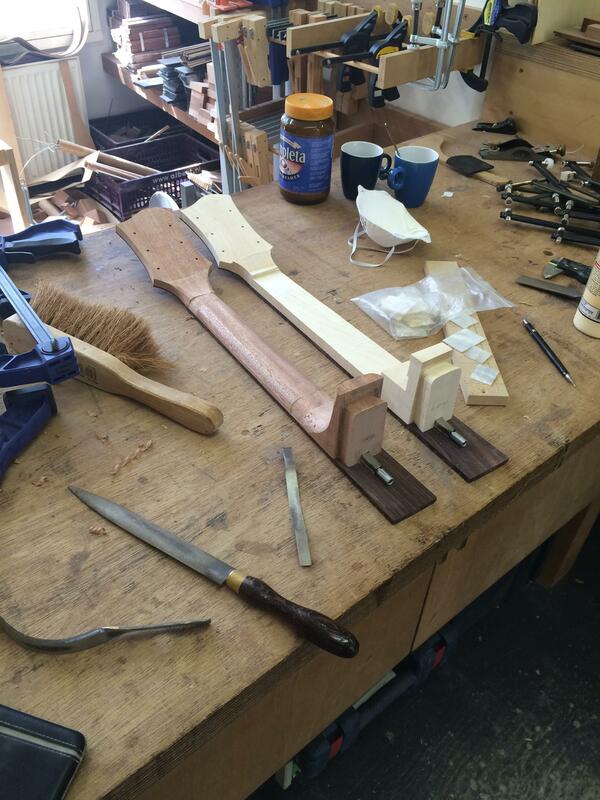 We've also routed the mortise and sanded the first four bodies to the point where we can join the neck and body. This batch should be ready for lacquer next month! 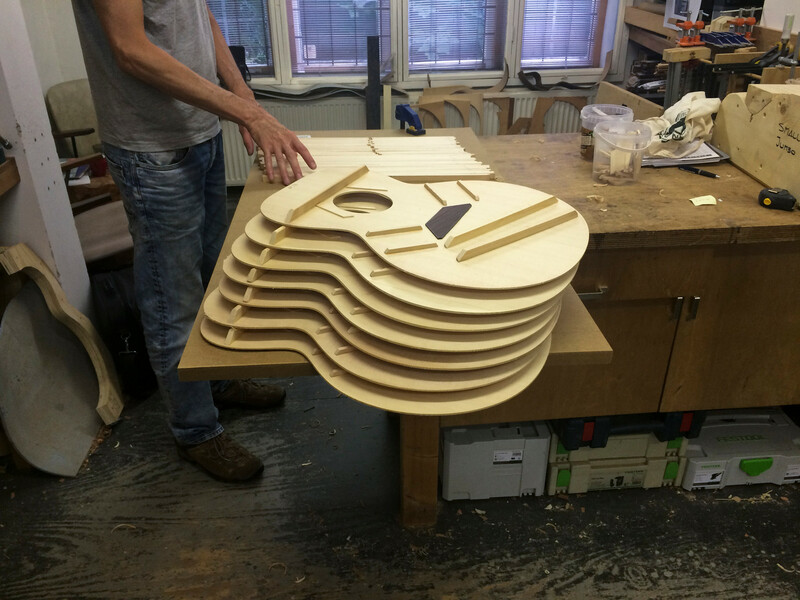 It's becoming increasingly apparent that 20 guitars will take up a considerable portion of our workshop space (duh!). So, we've decided to concentrate on getting a first batch of four ready for finishing. While they are at the painter's, work on the next batch resumes, and so on. This will keep the workshop obstacle-free and safe, and will enable us to present the first models in July. The first four bodies we have are bound and sanded, and are ready for routing the dovetail. 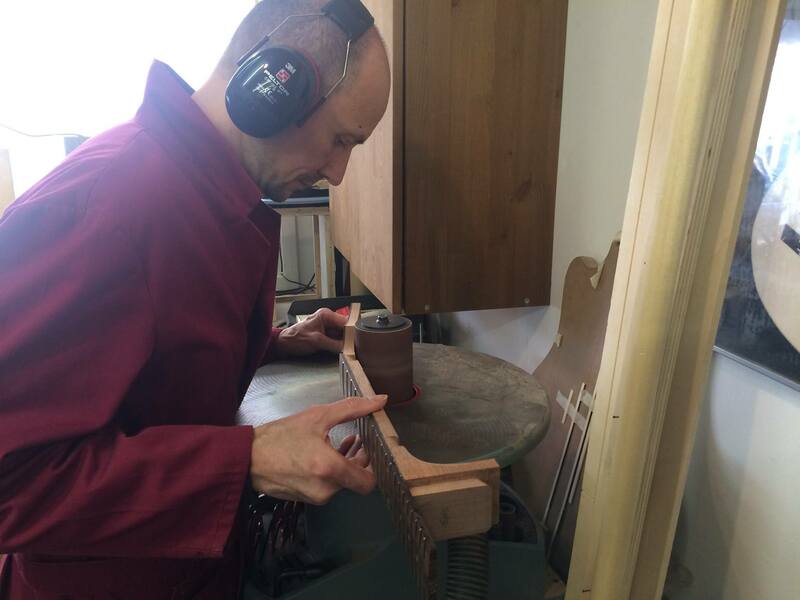 The truss rod channels are routed into the necks, and the 'ears' have been glued to the headstock. 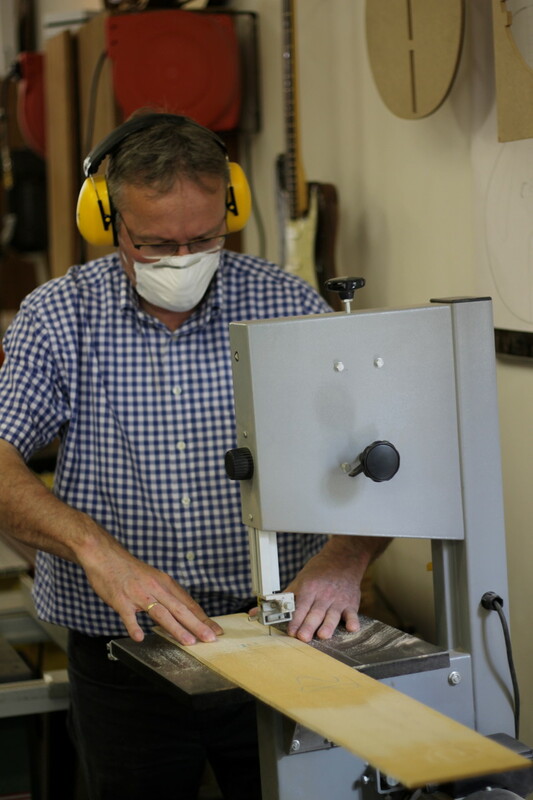 Eight fretboards have been thicknessed and radiused, and had the fretslots sawed. The eight bodies we have so far, are now half-bound. 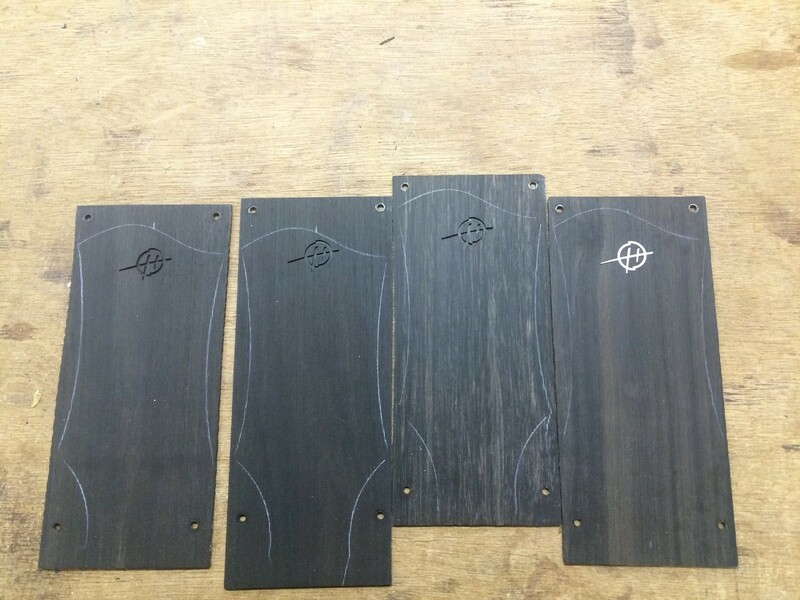 Four of the necks have the heel block glued, and the ebony headstock plates have the logo cut out. 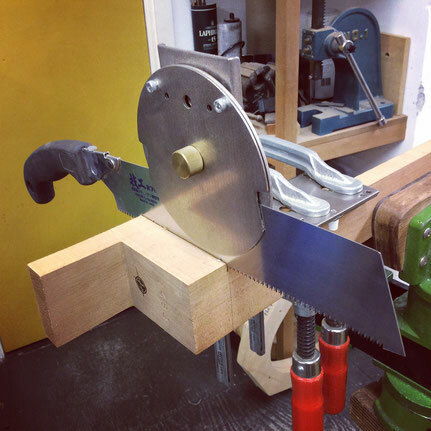 We've also made templates for the dovetail joint between the neck and body. 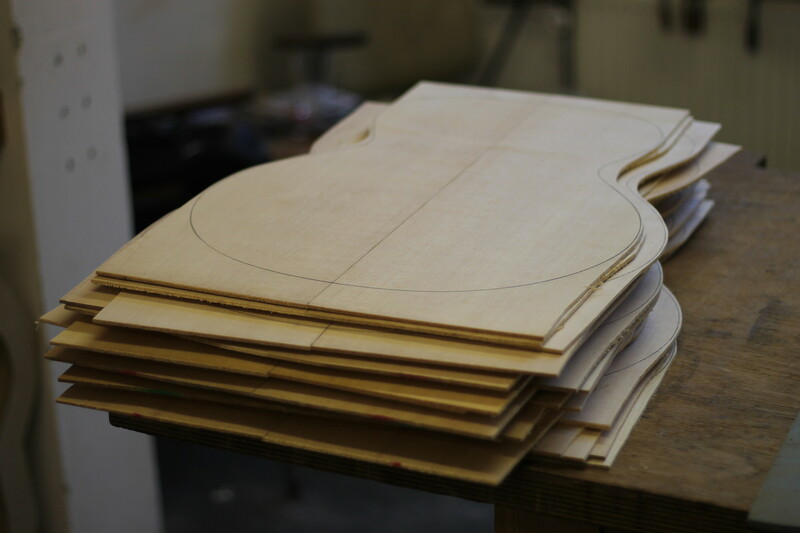 We've bent the sides for the next set of 4 guitars. They've been joined with heel blocks and tail blocks, have had the radius sanded and the kerfed lining glued in place. The backs and tops ready to glue to make four more boxes. 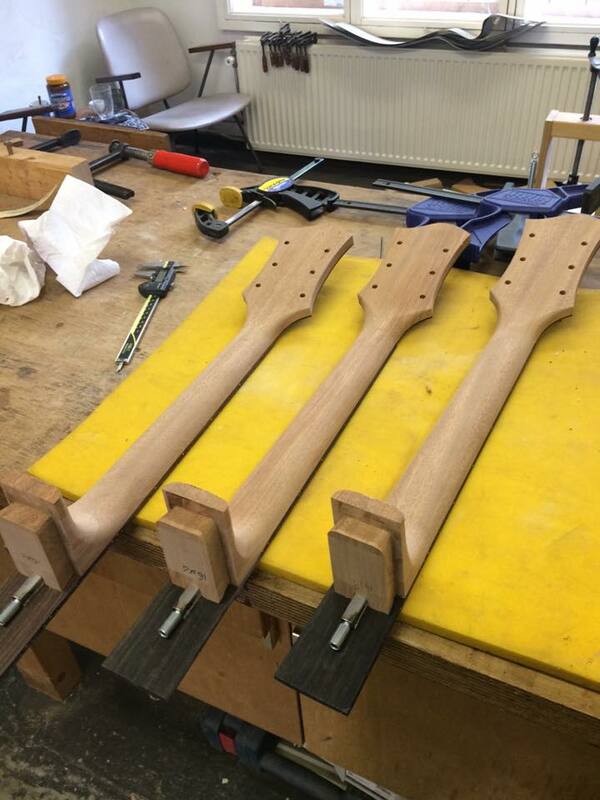 The neck wood has been thicknessed and the headstocks cut and glued. The Early Bird discount ends by the end of the month! The first four bodies are ready. 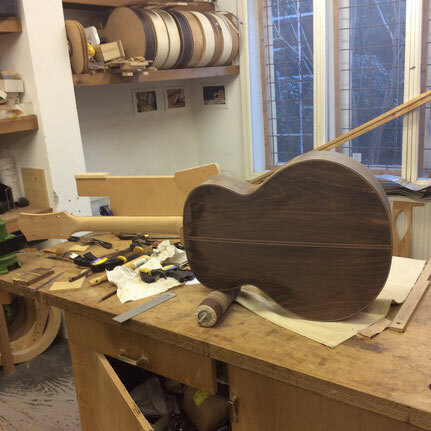 We have one Mahogany, two Maple and one Rosewood body. 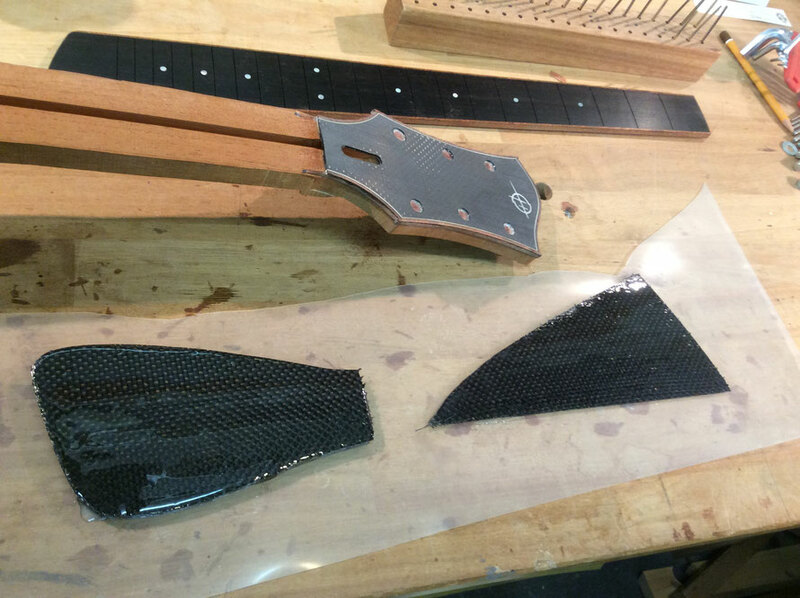 one of the Maple guitars will have a Rosewood fretboard and bridge, the other one Ebony. We'll put the bodies away for now and start bending more sides. 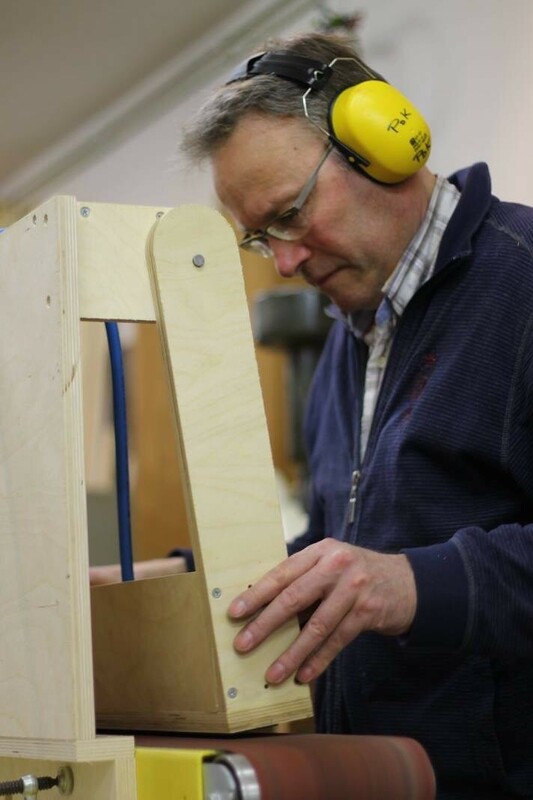 The first backs are glued to the sides, and we shaped and scalloped the braces of a couple of tops. We'll have the first four boxes pretty soon! 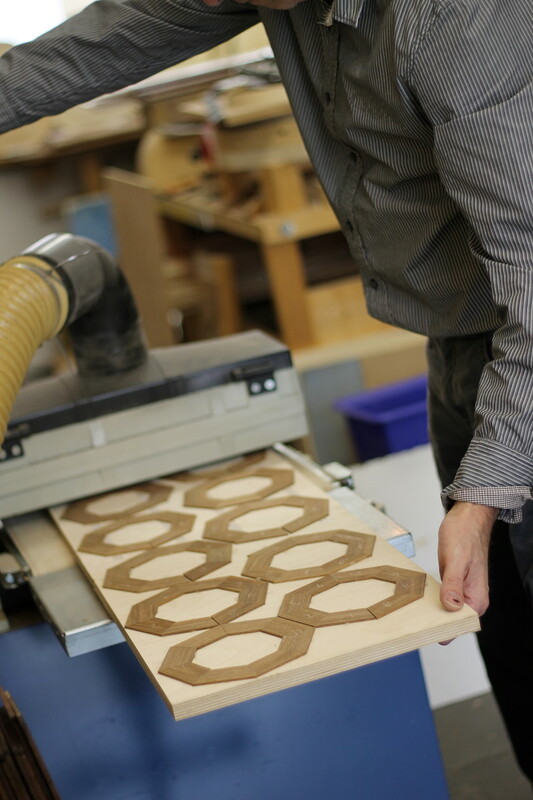 The first 4 sets of sides are joined and sanded to the top and back curve. We glued the kerfed linings and side reinforcement strips. We are tap tuning the tops and shaping the braces after the first run. The glueing of the main X in the second run is coming along nicely. 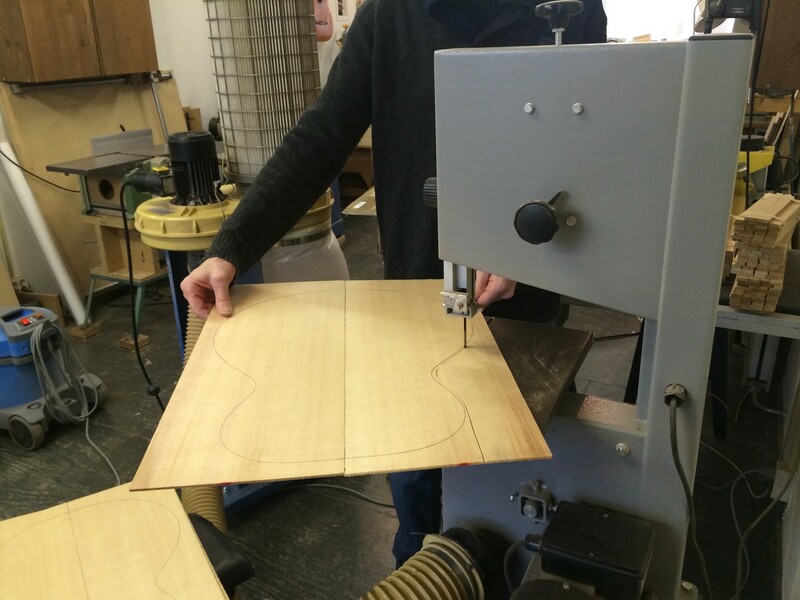 Heel blocks and neck blocks are cut and sanded to the right dimensions. Ready to start joining the sides! Almost all braces for the tops are ready to be glued. We glue them in two sessions, with the X-braces in the second run. 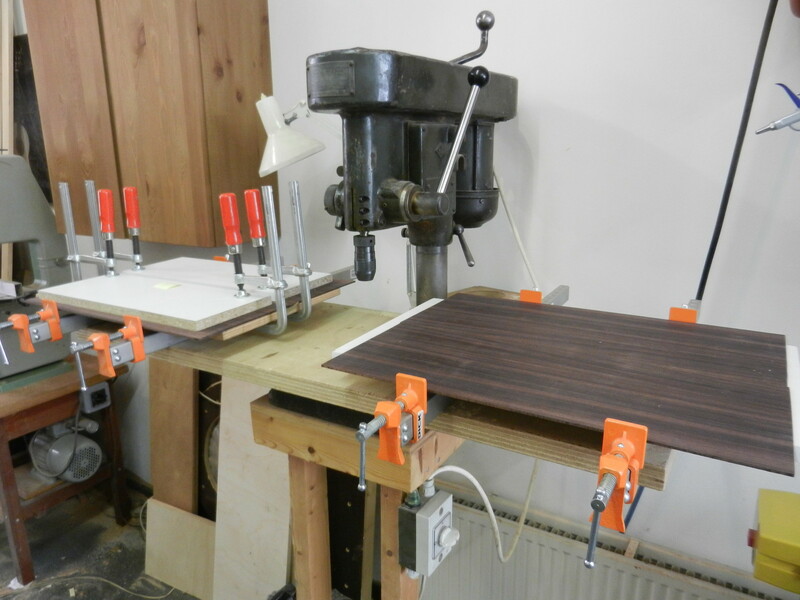 Our vacuum clamping system did a perfect job on the seven tops so far to come out of the first session. The backs are thicknessed and tuned. The braces and reinforcement strips are glued and shaped. So, we have all 20 backs ready! 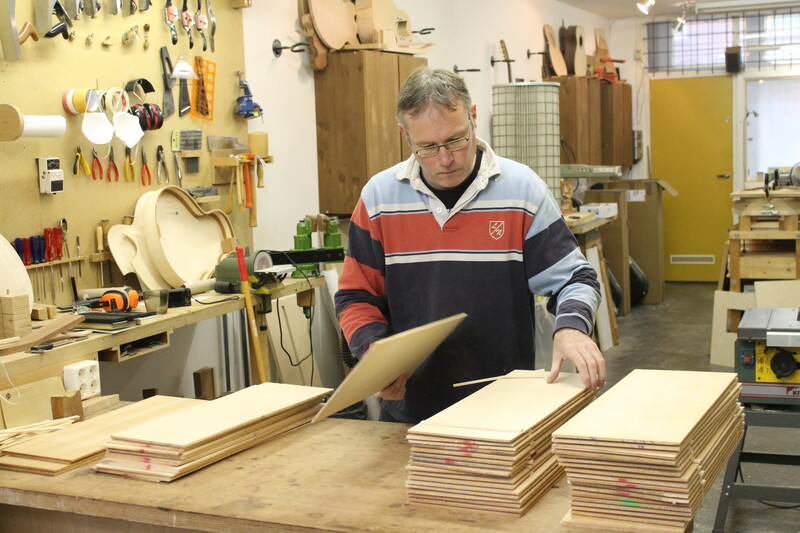 The bindings and purflings are ready for bending. 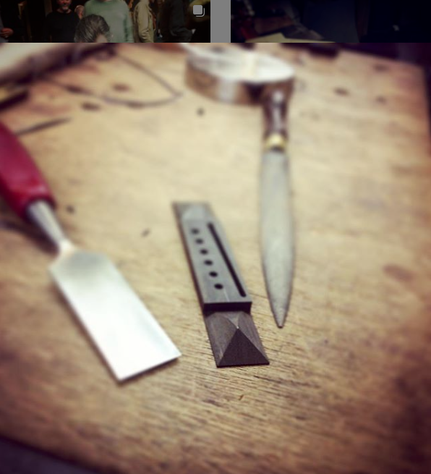 The tops are cut to their final shape and they are ready for the braces. We've also started preparing the sides for bending. 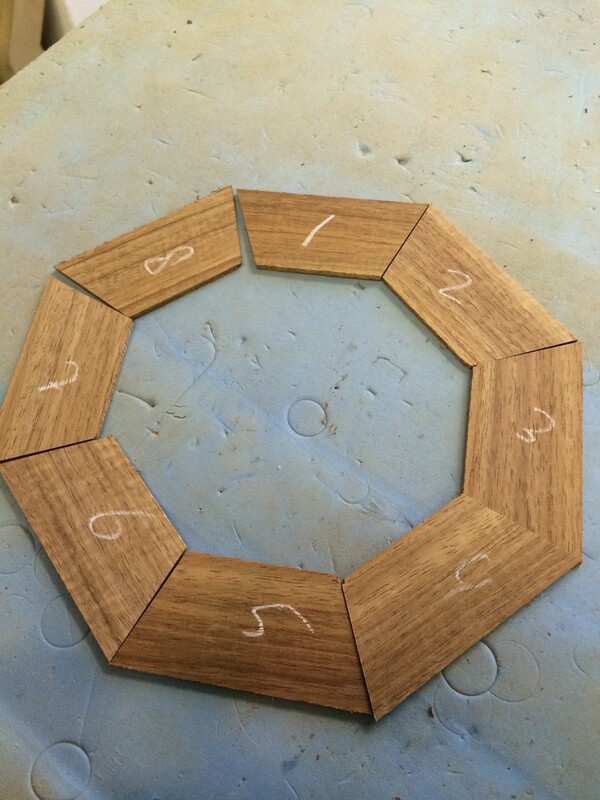 The sides are thicknessed and marked for bending. Bindings and purflings are being prepared. Tap tuning time! 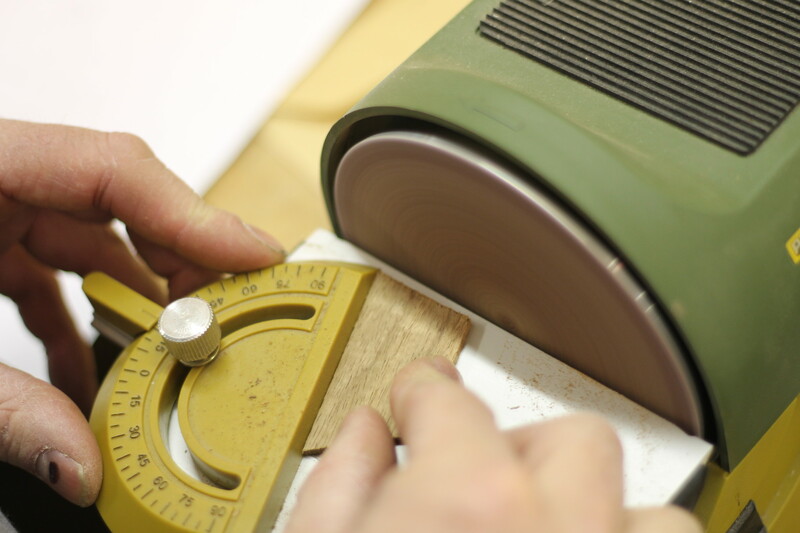 The tops and backs are individually sanded to close to their final thickness. 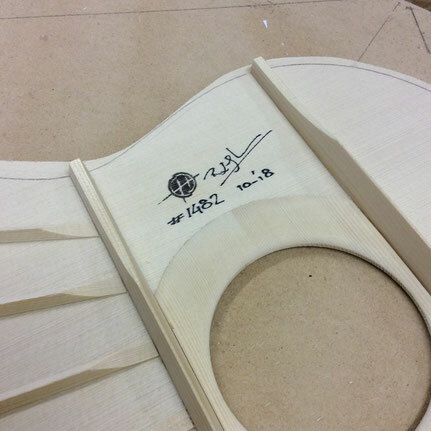 All tops and backs are jointed and rough-cut to shape. The rosettes are inlayed in the tops. 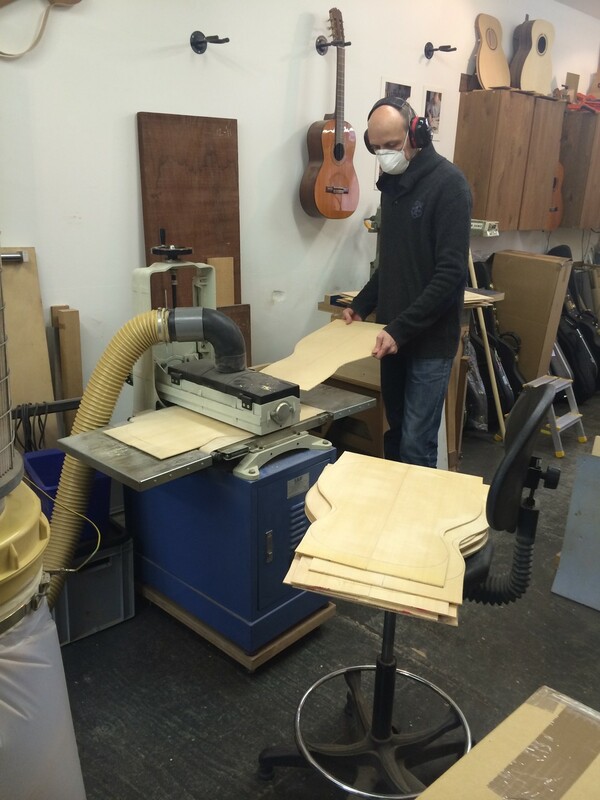 For a small shop, used to custom building guitars, making 20 guitars is a lot of everything. 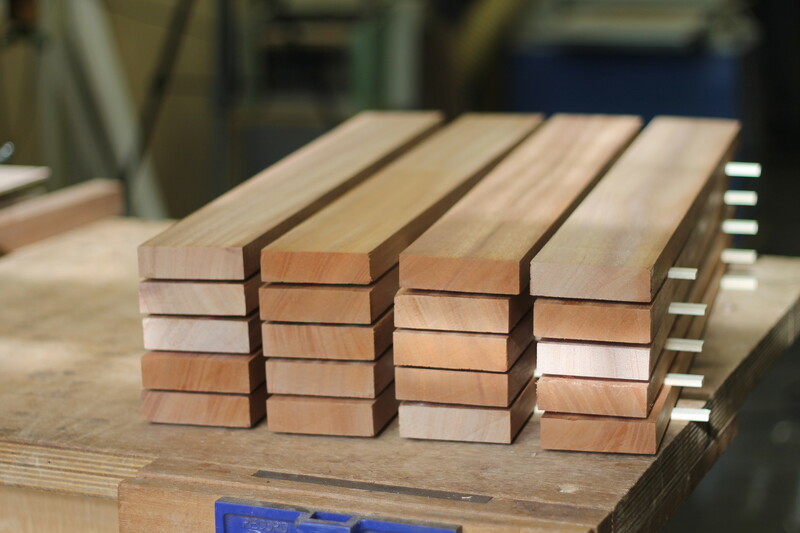 We've selected and graded all the woods and thicknessed the plates, so we can now joint the two halves. 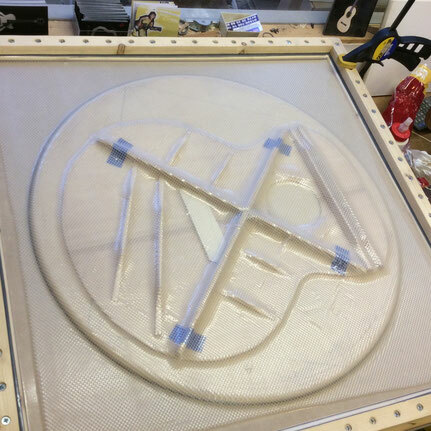 The first segments for the the rosettes have been made, too.